Looking For Effective Giveaways at Trade Shows? Offering giveaways to your consumers would definitely be able to help boost sales. What adds on to the value of your giveaways is the effectiveness and practicality of the item. People love attractive but also useful promotional gifts. ODM has sent its employees down to the Retail Asia Expo held at the Hong Kong Convention and Exhibition Centre to look for some cool ideas as giveaways. Hurry down to this trade show before it ends on the 6th of June 2013, ongoing for only three days. 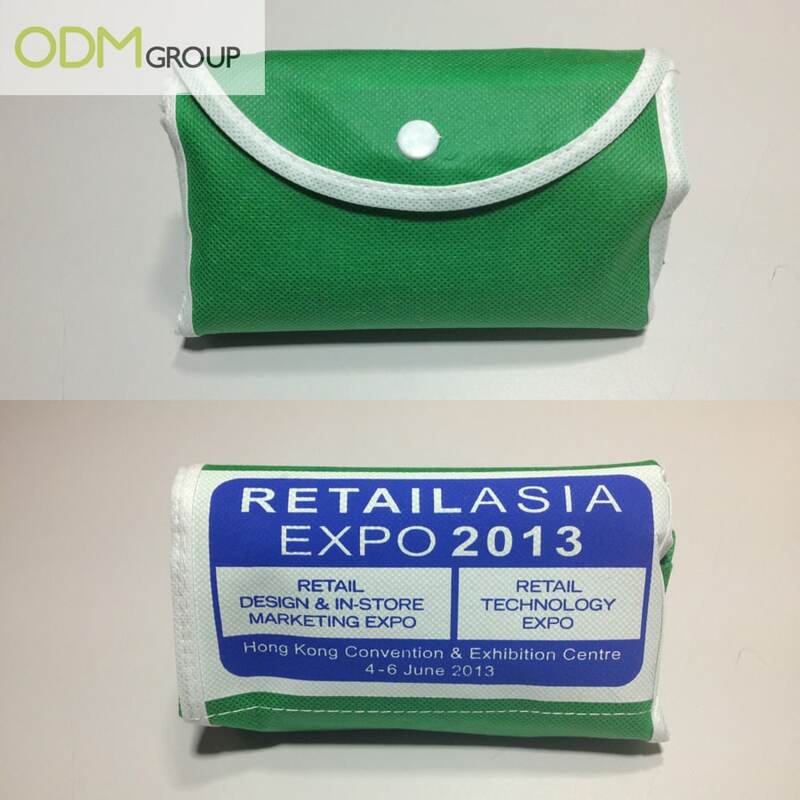 Retail Asia Expo 2013 is offering a foldable non-woven bag as giveaways for visitors at the trade show. 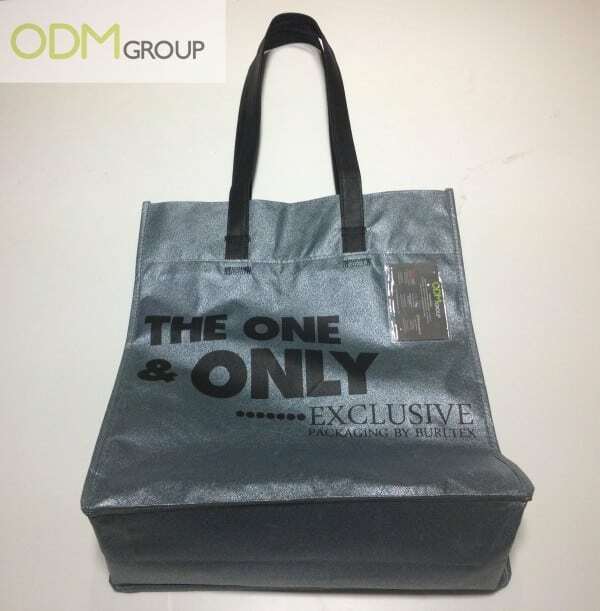 These bags are the ideal giveaways as they have a large surface area for branding and visitors can place the catalogues and gifts received at the trade show. Isn’t it useful to consumers and practical for companies? Non-woven bags are cliché items that most companies would give out because it is cheap and yet useful. However, what makes this non-woven bag unique and outstanding is that it can be folded when unused. Take a look at the front and back view of the folded non-woven bag! Such interesting giveaways would definitely be attractive to people. When they are not using the bag, it can be folded and placed in your handbag. Very portable yet light, suitable to be carried anywhere you go till you need to use it. 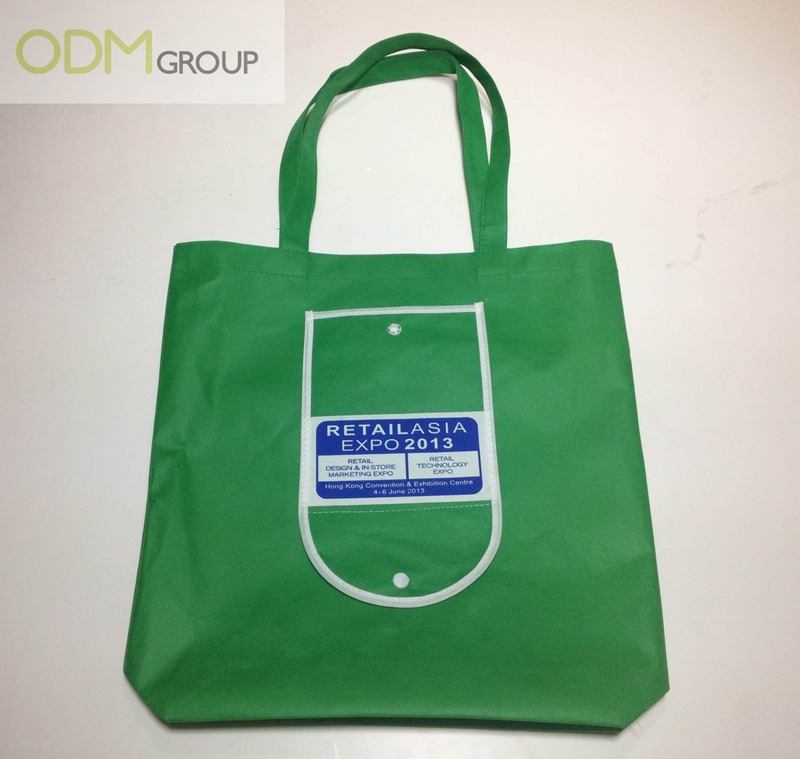 Another kind of unique non-woven bag that you can consider offering is a high-end with good quality bag. With a durable and lasting non-woven bag as giveaways, people would definitely be attracted to such promotional gifts. Non-woven bags are considered to be cheap items of low quality, but with this classy-looking bag, people would definitely have a higher perceived value for it. To add on, there is a mini holder attached to the front of this non-woven bag. Companies can place their name card into these holders and offer the bag as giveaways to their customers. This way, their customers would be able to receive and remember the company with their name and details provided. Furthermore, when people carry these branded bags when they are out, other people would be able to notice your company logo. This helps in increasing brand awareness and in the long run, builds brand loyalty. Such giveaways are definitely beneficial to your company. Pens are also cliché giveaways you would see every companies giving out to their customers or employees. The main reasons why companies give out pens are because pens are practical and able to be branded with logo. When people use these branded pens, they would be able to be reminded of their company name. So, what makes your pen giveaways a unique item? Check out these pens and you’ll find out why! Using recycled and environmentally friendly materials to make your giveaways would be able to increase its perceived value. People would be more receptive to companies who possess Corporate Social Responsibility and this boosts sales. To add on, these pens are made of wood giving it a very special outlook. This would intrigue customers’ curiosity about the pens and entice them to make purchases in order to receive such unique promotional gift. In this fast-paced society, many people are getting stressed up be it in studies or at work. Stressballs are known to be used when one is stressed up and squeezed on it. By offering such stress relieving giveaways, it would be able to attract people to purchase your products to be entitled such useful item. 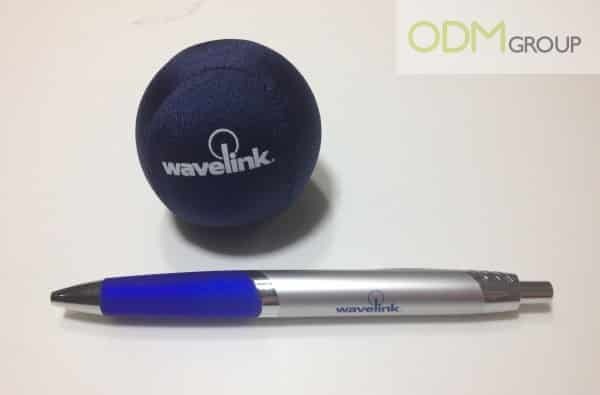 The Wavelink branded stressball is very small and portable, suitable for people to carry it around with them wherever they go. Whenever they are stressed, they can simply take it out and squeeze it to relieve stress. Although it is small, it is able to fit perfectly in your palm. Wavelink also offered a branded luxury pen as giveaway, to entice people with the classy-looking pen. Good quality would increase the value of the pen as most giveaways offer standard pens, which spoil easily after using them for a while. Using environmentally friendly materials to produce your promotional gifts would definitely improve your company’s reputation. People would be more receptive to your company and would want to offer a helping hand to save the Earth. To add on, it benefits your company as well to use recycled materials that would save on costs. Travel the World with HKTDC Giveaway!